Carlisle Homes is committed to 100% customer satisfaction – building quality homes at affordable prices. With more standard quality inclusions than other Victorian home builders, customers enjoy a personalised and positive experience when building their dream home. In this world of technology and mobile, Carlisle Homes noticed there was a gap in the planning stage of the journey. All their customers were heavily reliant on the 200 page brochure to plan and organise colour selections, along with other inclusions, for their new home. An online web-based application that allowed users to select colours and inclusions online was the most logical solution. 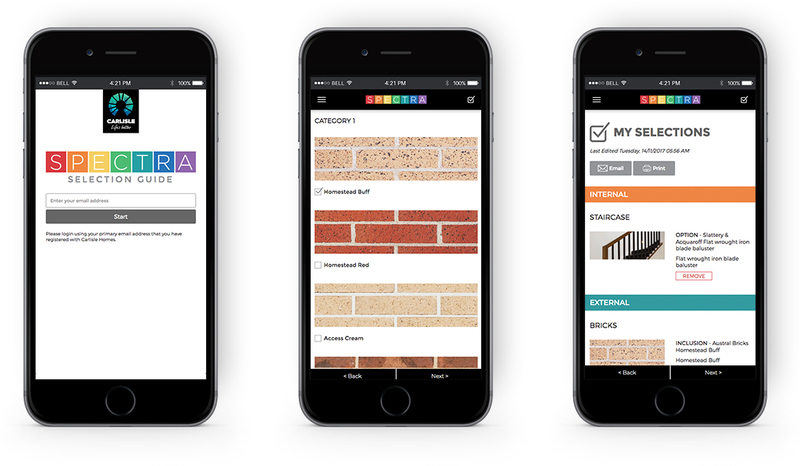 We created an app that worked across all devices – mobiles, tablets and desktop. 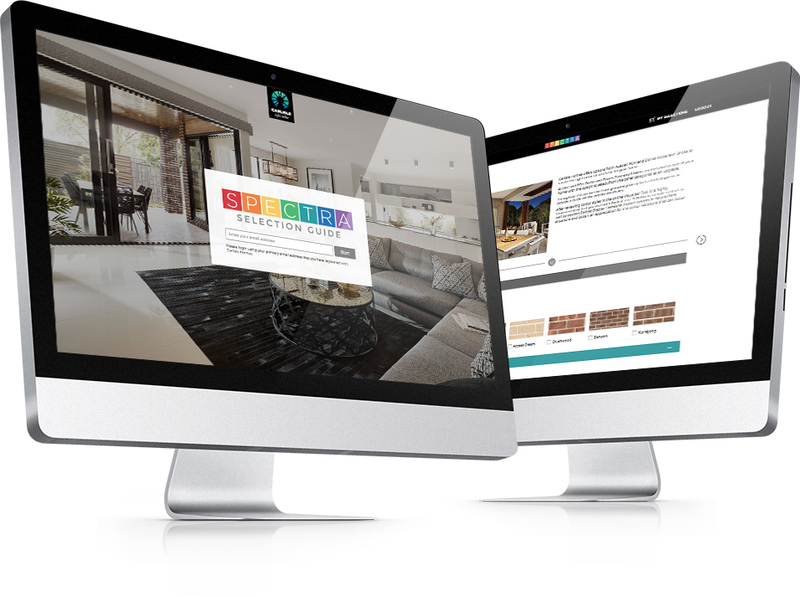 Now customers can browse all selections at their leisure and convenience, with the added functionality of compiling their selections into a PDF, then when they meet with Carlisle Homes to go through the final details – it is all there ready to go. This web based solution streamlines user experience by minimising navigation when switching categories. Additional features were implemented to enhance customer usability and convenience, such as bookmarking, email PDF and saving customer’s notes. After just two weeks, 25% of clients had adopted the colour selection app. Staff were full of praise, saying that the app was making their job so much easier, cutting back on appointment time and making the entire process more efficient. Now Carlisle home are printing less brochures and say there is no comparison between the efficiency of the app and the cumbersome nature of the brochure.